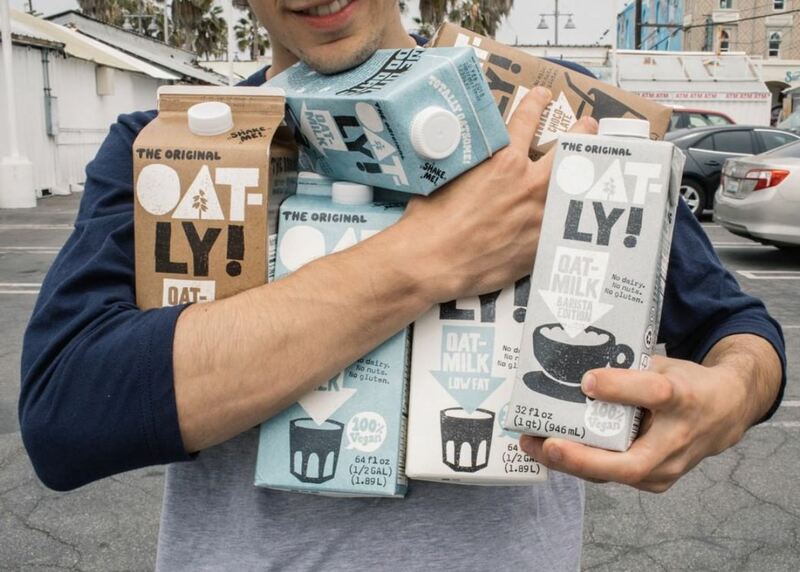 Vegan brand Oatly has announced it has plans to stop selling oat residue to pig farms. The Swedish brand faced controversy earlier this year when it revealed it sent production residuals to local farms as feed, as it was a 'sustainable option' which' eliminated the unnecessary waste of nutrients and at the same time contributed to the production of biogas'. But the revelation provoked an angry response within parts of the the vegan community, which felt this was at odds with its message of promoting a plant-based diet, prompting the company to promise to look at alternative options. Now Oatly has published a statement saying: "The study and analysis of what to do with the residues from the production of our oat drink is one of the most complex and perplexing issues that this company has faced. "Because we are a science-based company, the first place we tend to look for answers on how to solve challenges is, of course, science. This time, however, we found science alone could only provide partial answers. "Instead, our meetings have been filled with philosophical discussions: How do we stay true to our overall objective of long-term systemic change by shifting consumption of animal-based food products to plant-based food products without having to make decisions along the way that conflict with our belief system?" 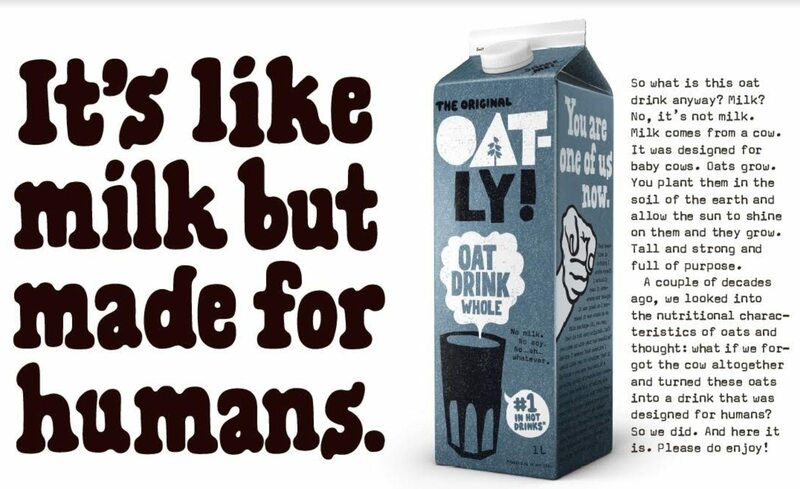 Oatly says it believes the 'best way forward' now is to 'develop technology and the refinement of oat residues so that we can turn the oat residues into new oat-based consumer products'. "While this technology does not currently exist, the benefits would be game-changing," the statement adds. "We are therefore excited to announce that we have just received a grant from the Swedish governmental agency for innovation, Vinnova...we will match their initial grant...for a total of SEK 3,455,000 ($380,105.48). "This project started on June 1, 2018 and will continue through January 30, 2020 with the aim to develop two new food prototypes produced in pilot-scale and evaluated for their commercial viability." Oatly is also looking at building biogas energy renewal plants at its production facilities. The biogas plants would turn the oat residue into renewable energy and power its production facilities. In the meantime, the company will continue to sell the residue to local farmers on sustainability grounds, saying that farmers would seek alternative nutrients 'which historically has meant South America where the growth of soy concentrates has contributed to the deforestation of the Amazon and proven fatal to the ecosystems of that region'. Oatly adds that it is open to hearing other solutions - and will be holding an event in London at the beginning of December where people will can speak to Oatly's experts and share ideas. "Lastly, we would like you to know that we appreciate both your support and your constant questioning of our positions and choices," the statement concludes. "The only way forward as a society is to grow our shared unrelenting drive to question and re-imagine the way things are done, in regard to society in general but more specifically in how we as humans relate to our food systems and the planet."